(Kariya, Japan) July 8, 2013 – Toyota Boshoku Corporation (Tokyo: 3116, President, Shuhei Toyoda) a premier manufacturer of automotive interior systems, is pleased to announce that it has been recognized with a special design prize. 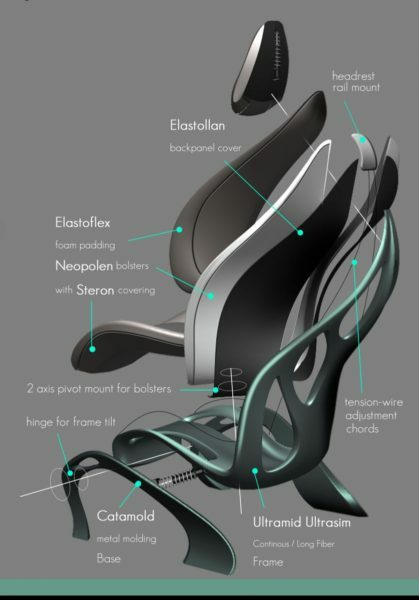 Germany’s leading chemical company, BASF*1 and its first global car seat design competition “sit down. move.”*2 have awarded Toyota Boshoku’s Christian Delise a special prize for material utilization in his “Aptus” seat design. The “Aptus” seat is the formation of advanced ideas above and beyond conventional seat design. The resulting next generation seat combines material, function and styling at the same time. 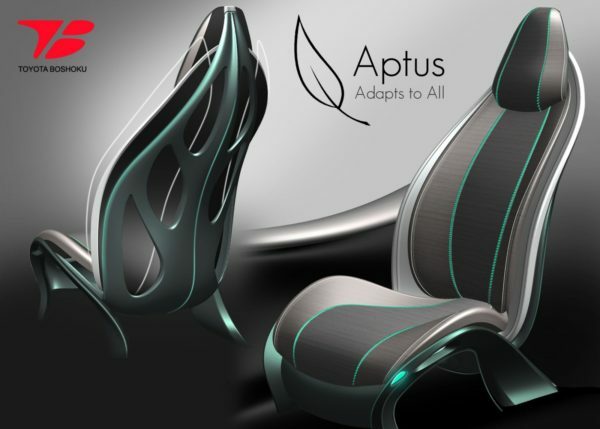 Toyota Boshoku and BASF are undertaking joint development to create automotive seats utilizing the innovative Aptus concept. 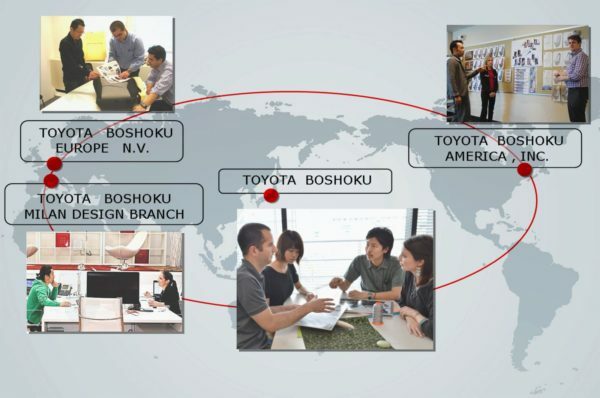 With the aim of strengthening design development Toyota Boshoku is proactively undertaking the development of designers to be global leaders in this competitive field. It is upgrading global design sites to create proposals for comfortable and attractive mobility spaces for customers around the world. *1: BASF is the world’s leading chemical company and is headquartered in Ludwigshafen, Germany. The BASF group has approximately 110,000 employees and undertakes business on a global scale. It opened its business in Japan in 1888 and undertakes activities in the fields of chemicals, high performance products, functional materials and agricultural related products. It has 26 production sites in Japan. 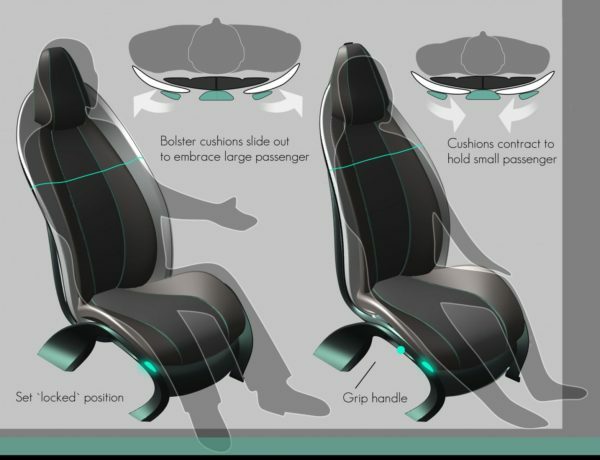 *2: A condition of the competition was to utilize BASF materials in designs and incorporate the aspects of comfort, ergonomics, safety and weight reduction into automotive seat entries. The six-member jury was made up of renowned industrial and automotive designers Konstantin Grcic, Ken Kiyoyuki Okuyama and Dave Lyon as well as experienced BASF employees. Of approximately 170 entries from 34 countries sent into the design competition only 6 entries were awarded prizes. The seat adapts to a wide range of body sizes to provide optimum comfort for all. Adjustment feature reclines according to human body weight and locks into the appropriate position. Form illustrates the function and stays honest to each materials purpose.